If you have one of the following Vitamix Blenders: Touch & Go Blending Station, Drink Machine or Bar Boss and need a replacement blender container jar, then this is what you're looking for. This has a capacity of 48 ounces or 1.4 liters. With graduations along the side, you are able to see the level of your ingredients and then the finished product. If you follow recipes in your kitchen, this is the perfect way to ensure it tastes exactly right each time you make a new batch. This jar includes the strong stainless steel ice blade assembly however, does not include the lid, that must be purchased separately. 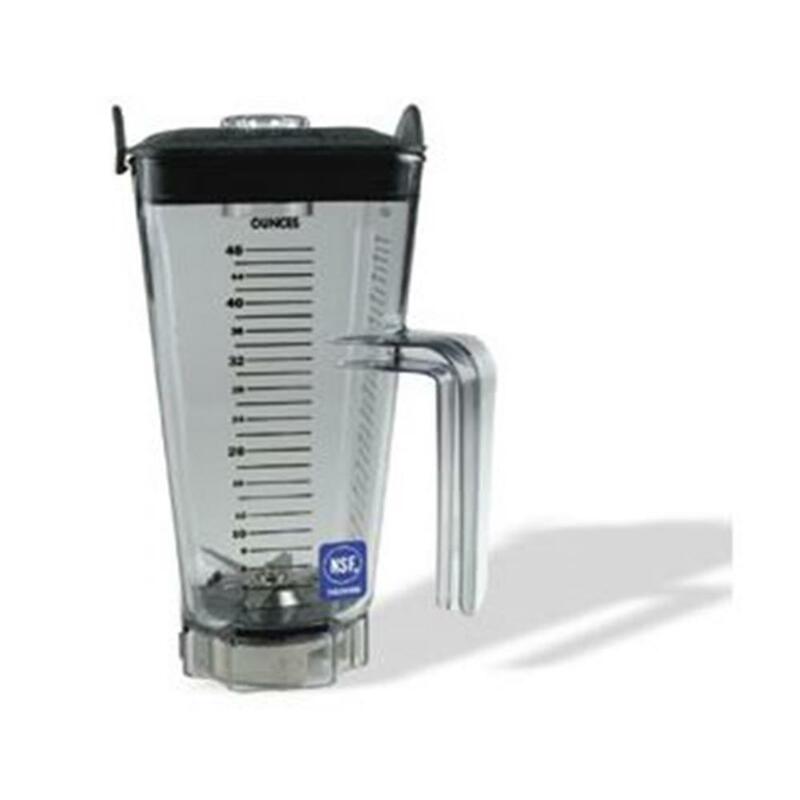 The design of this blender jar gives it the ability to be stacked within another 48 ounce blender jar from Vitamix. The mixture of the design as well as the capacity makes this a great tool in your kitchen as it saves you both space and preparation time.